Spinzwin Casino will never fail to surprise you with the wide range of games and offers. 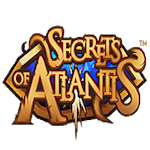 2nd deposit: 25 bonus spins on Secrets of Atlantis with the code SW25. In order to receive these offers and begin your fun, you have to register on the casino page via this promo, verify your account with the registered email, and deposit over £20 two times. Easy peasy. The wagering requirements for this offer are 50 times the bonus amount and winnings from spins. The conversion from the match bonus is limited to 5 times its value. Your cash-out limit for the spins is set at £20.